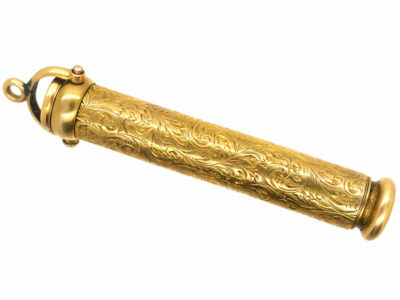 Sampson Mordan who was born in 1790 and died in 1843, was a silversmith and a co-inventor of the first patented mechanical pencil. 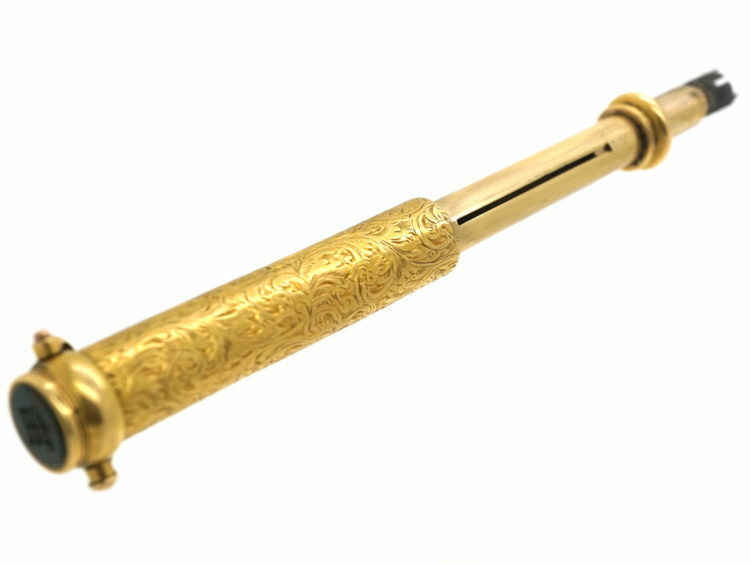 During his youth, he was an apprentice of the inventor and locksmith Joseph Bramah, who patented the first elastic ink reservoir for a fountain pen. 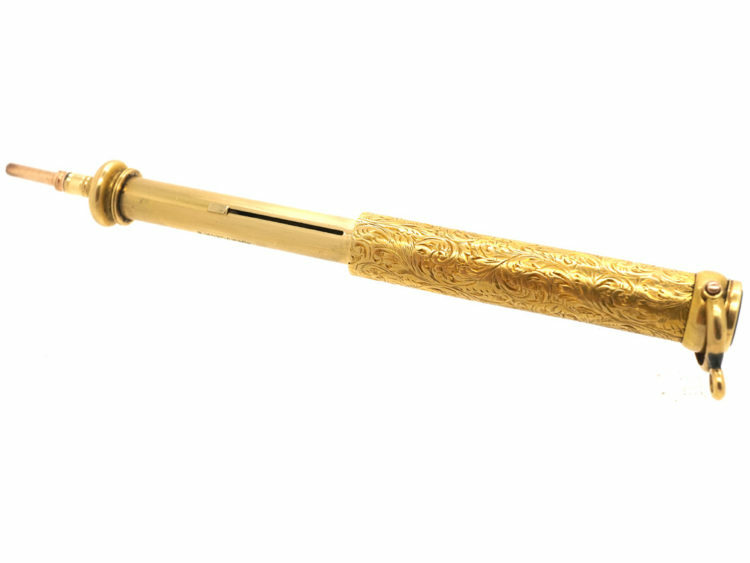 Mordan bought out Hawkins and entered into a business partnership with Gabriel Riddle, an established stationer. 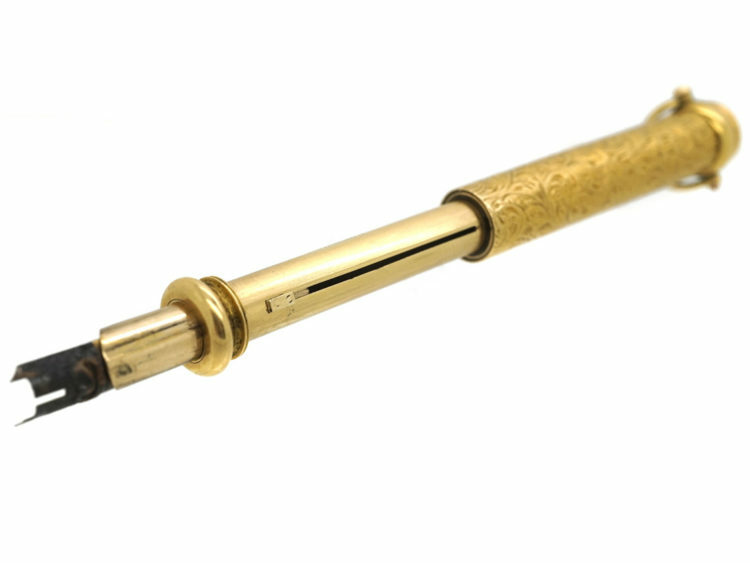 From 1823 to 1837, they manufactured and sold silver mechanical pencils with the marking “SMGR”. 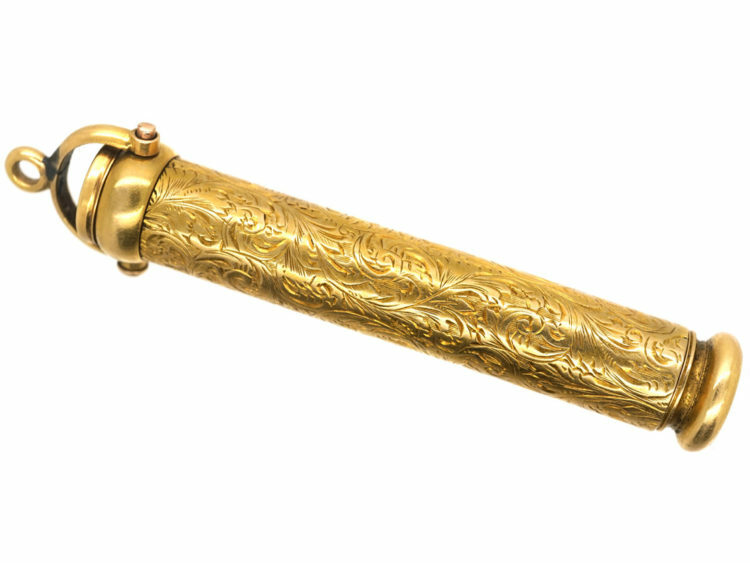 After the partnership with Riddle dissolved, Mordan continued to sell his silver pencils as “S. 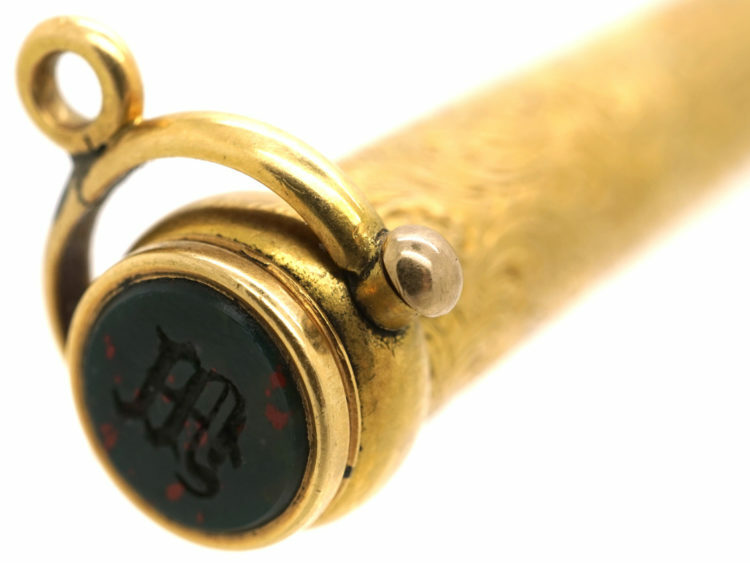 Mordan & Co.” This gold pencil which also has a pen nib is marked S.Mordan & Co. Inset in to the top is a bloodstone with an engraved monogram. 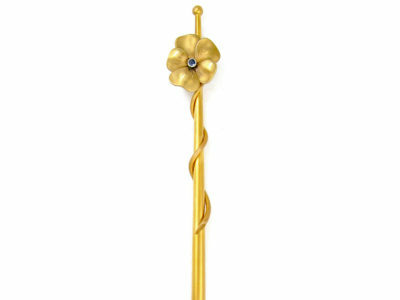 A fun piece to wear on a chain ! 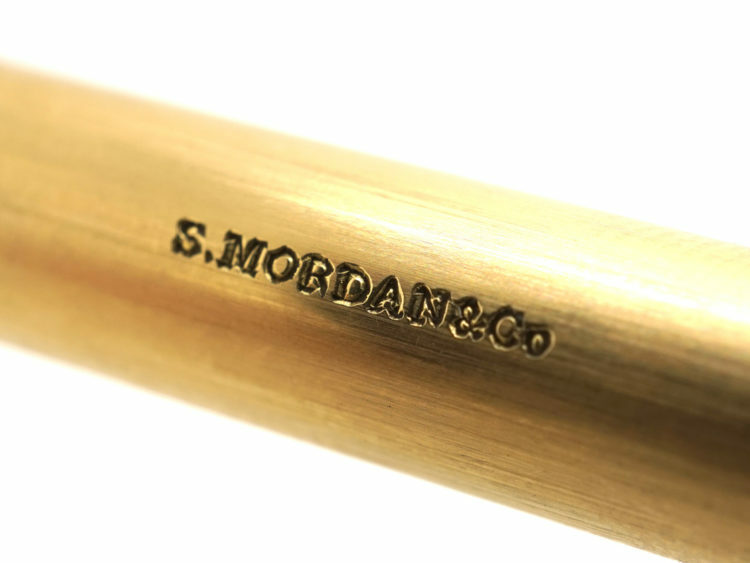 Marked "S Mordan & Co"